Our Track Cog Lockring was designed in conjunction with our Track Cog, and as such, they go together like hamburgers and hot dogs. It’s now a full 5mm thick, plus a lip (0.65mm extra) to maximize thread contact on all compatible hubs. 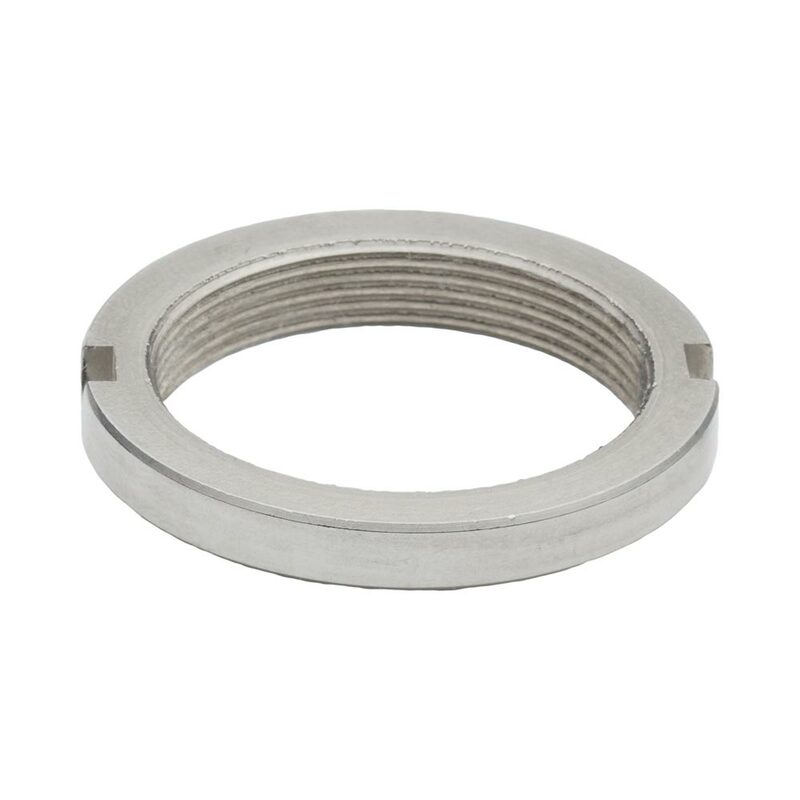 Fits English lockring threads (1.29” x 24tpi LH) to work on almost all track hubs available today except Campagnolo (1.32” x 24tpi LH) and French (33mm x 1mm LH). Compatible with standard ISO-threaded (1.375” x 24tpi) hubs.